Trying to determine which reverse osmosis system will best meet your commercial/industrial filtration requirements? Use the reverse osmosis system comparison chart below to get the facts on different Culligan industrial reverse osmosis systems and compare product specifications. Then contact Culligan Industrial Water for assistance in selecting the specific RO system that will work best for your business. We can custom design an industrial reverse osmosis system to meet your specific water treatment needs. We use only the highest quality components to build each of our Culligan reverse osmosis systems, offering you a reliable system that will last for years to come. 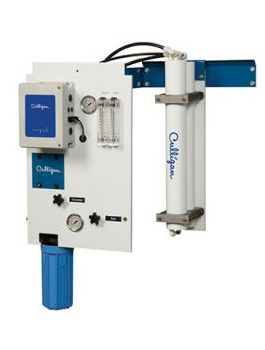 Culligan RO systems will remove undesirable contaminants from your incoming source and feedwater, including: suspended particles, dissolved minerals, organic matter and bacteria. 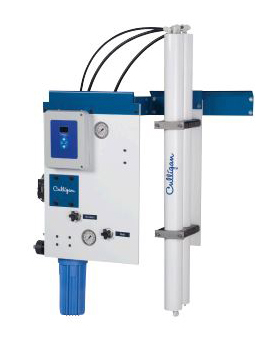 Culligan Industrial Water can create an efficient industrial RO system that exceeds your expectations. If you have any questions after reviewing the comparison chart below, simply give us a call! *Nominal flow rate is based on influent water conditions. **Approximate nominal capacity based on properly pretreated feed water of 600 ppm TDS as NaCl, 77º F, Silt Density Index below 3.0, and 60 psi applied pressure supplying water to atmosphere. Productivity will vary depending on the feed water conditions. ***Nominal recovery capacity based on new RO membranes operating on a properly pretreated feed water of 500 ppm TDS as NaCl, 77 °F (25 °C), Silt Density Index (SDI) below 3, and supplying water to atmosphere. Productivity will vary depending on the actual feed water quality and temperature. The Culligan® E1 Series Reverse Osmosis System is one of the most economical water treatment solutions available. In addition to reducing impurities in your make-up water, the E1 Series Reverse Osmosis System lowers maintenance costs by filtering out contaminants that can clog and foul equipment. The easy-to-use electronic controller included with this series will help keep operating costs low. The Culligan® E2 Series Reverse Osmosis System is an affordable reverse osmosis unit that offers all of the same benefits as the compact E1 Series Reverse Osmosis System, but with higher flow rates and a greater filtration capacity. Just like the E1 Series, the E2 Series can help reduce your operating and post treatment expenses by filtering out equipment clogging contaminants from your water supply. This series comes equipped with an easy-to-use electronic controller. By installing a Culligan® G1 Reverse Osmosis System, you get all of the benefits of a cost-effective system configuration combined with reduced post-treatment expenses. The G1 Reverse Osmosis system is highly configurable and will help you to reduce maintenance, installation, and operating costs. System settings can be monitored and adjusted via a simple-to-use electronic controller. 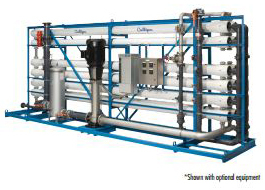 The Culligan® G2 Series Reverse Osmosis System makes it easy to manage your drinking water and industrial process water. With a Culligan® G2 Series Reverse Osmosis System you get expandable, flexible configuration options that can be customized to meet the most demanding and exacting water treatment requirements. The G2 Series features an electronic controller that automates water quantity and quality based on your specific consumption needs. With the Culligan® G3 Reverse Osmosis system there are virtually no limits on water quality, regardless of the quantity. A G3 Reverse Osmosis system will meet your most demanding industrial or commercial requirements. The G3’s reverse osmosis membrane is capable of processing large volumes of water while reducing water waste. All system operations can be managed via a touch panel electronic controller. 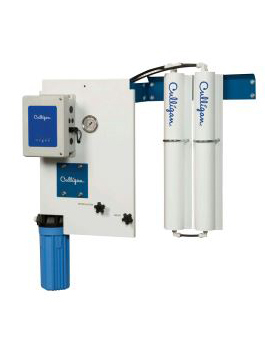 The Culligan® M1 Reverse Osmosis System is a cost-effective water treatment solution that comes with enhanced features to help lower your operating and post treatment expenses. The M1 Reverse Osmosis system helps lower expenses by reducing those water contaminants that may have negative effects on your industrial equipment. The easy-to-use electronic controller included with this series will help keep your operating costs low. 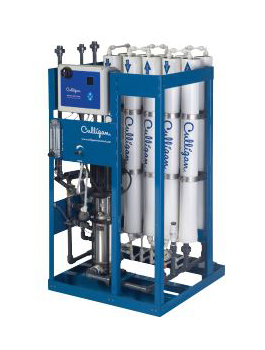 The Culligan® M2 Series Reverse Osmosis System makes it easy to manage water for your industrial and commercial applications. 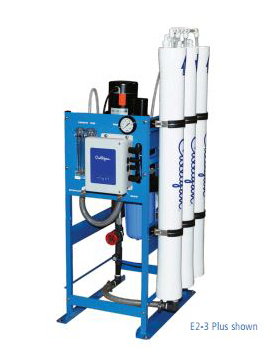 The M2 Reverse Osmosis System can be configured and customized to meet your most demanding needs. The M2 RO System is easy to manage with an electronic controller that automates the quantity and quality of water based on your water consumption needs. 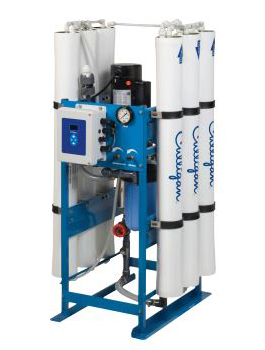 When you purchase your industrial reverse osmosis system from Culligan Industrial Water you get durable and efficient equipment backed by years of water treatment experience and technical expertise. 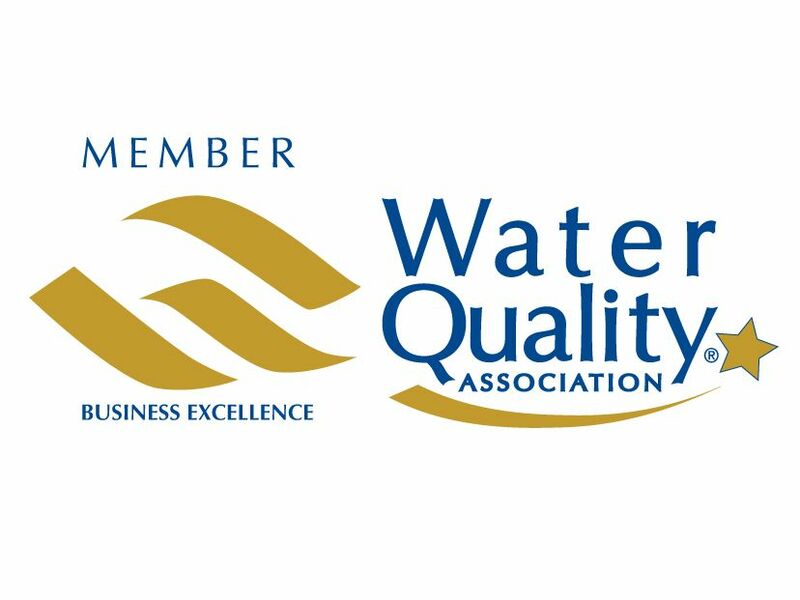 We will take the time to understand all of your unique industrial water treatment requirements and will be there every step of the way, from planning to installation.